SINGAPORE (Reuters) – Toyota Motor Corp has agreed to buy a $1 billion stake in Southeast Asia’s Grab in the biggest investment by a carmaker into a ride-hailing firm, at a time when traditional automakers are racing to team up with disruptive tech companies. The value of six-year-old Grab will be just over $10 billion after the investment, said a person familiar with the matter. The deal comes as the auto industry faces a spike in the need for technological prowess with the advent of features such as autonomous driving, while app makers offer passengers the option to forgo car purchases by connecting them with drivers. Some automakers have responded by partnering with makers of ride-hailing apps which dominate the fast-growing field of mobility services, in anticipation of a future of reduced car ownership. General Motors Co (NYSE:GM) has invested in U.S. ride services firm Lyft, whose rival Uber Technologies Inc [UBER.UL] is also backed by Toyota. Meanwhile Japan’s SoftBank Group Corp – also an investor in Grab and Uber – last month said it would invest $2.25 billion in GM’s autonomous vehicle unit Cruise. Toyota’s trading arm invested an undisclosed sum in Grab last year. This time, the automaker is lead investor in a financing round launched after Grab acquired Uber’s operations in Southeast Asia, a region of 640 million people. Grab called it the largest-ever investment globally by an automotive manufacturer in the ride-hailing sector. The Singapore-headquartered firm did not disclose how much fresh capital it aims to raise. It raised $2.5 billion in its last round in July, resulting in a reported value of $6 billion. Grab said it logs six million rides a day via apps downloaded onto over 100 million mobile devices. The firm also offers online to offline services, such as food delivery and digital payments, which it aims to expand deeper into the region using funds from its latest financing round. It also said Toyota will appoint an executive to Grab’s board of directors while a dedicated Toyota team member will be seconded to Grab as an executive officer. Toyota said it aimed to offer financing, insurance and maintenance services to drivers based on data collected through recorder devices already installed in some Grab vehicles. 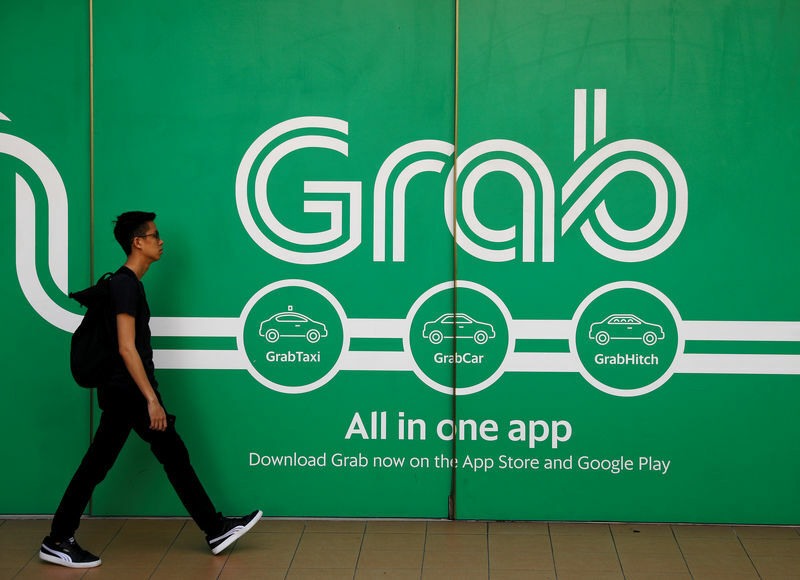 “Going forward, together with Grab, we will develop services that are more attractive, safe and secure for our customers in Southeast Asia,” Toyota executive Shigeki Tomoyama said in a statement. The data could also help Toyota develop its own next-generation mobility services, including a self-driving electric vehicle aimed at companies for use in tasks such as ride hailing, package delivery and mobile shops. Other Grab investors include Japan’s Honda Motor Co Ltd, South Korea’s Hyundai Motor Co and Chinese ride-hailing firm Didi Chuxing. Uber acquired 27.5 percent of Grab in exchange for the U.S. firm’s Southeast Asian business earlier this year. Grab’s main rival is now Indonesia’s Go-Jek which last month said it would invest $500 million to begin expanding abroad.